Amongst the many, many enchanting things about France (anyone who knows me, knows that I am an obsessive Francophile!) is the tradition of giving beautiful muguet (lily of the valley) bouquets to loved ones on the first day of May. The tradition began on May 1st, 1561, when King Charles IX of France was presented with muguet flowers as a good luck charm. History does not remember who gave this perfumed gift but the king loved the idea so much that he started presenting muguet bouquets to the ladies of his court on May 1st every year. And that’s not all: another ancient European tradition of “bals de muguet” dances allowed a rare chance for young boys and girls to mingle without having to get parents’ permission (which could be an arduous task in those days). At these dances, the girls would dress in pure virginal white, while the boys would wear a sprig of muguet in their buttonhole. By the 1900s, it became traditional for French men to present muguet flowers to their sweethearts. Hence, the day came to be affectionately nicknamed La Fête du Muguet (Lily of the Valley Day) even though the official moniker is La Fête du Travail (Labor Day). Nowadays muguet flowers are not just about romance – they are also given as good luck charms or tokens of appreciation between close friends and family members. And if you want to make this day truly special for someone, Guerlain has the perfect answer: a very limited Muguet 2013 perfume, bottled in a quadrilobé bottle whose design dates from 1908. The gorgeous flacon is embellished with a delicately embossed paper image created by Créanog, a creative studio specialising in paper sculptures. A spring green thread encircles the bottle, which is further embellished with a golden Guerlain seal. 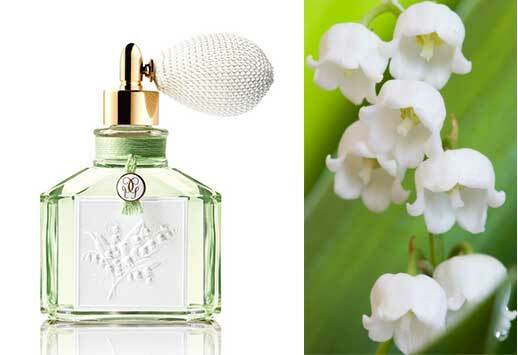 The fragrance itself contains the ‘bright green notes’ of lily of the valley, with added heart notes of rose, jasmine and lilac. The cost? $575 / £355 for 60ml. The exclusivity factor? 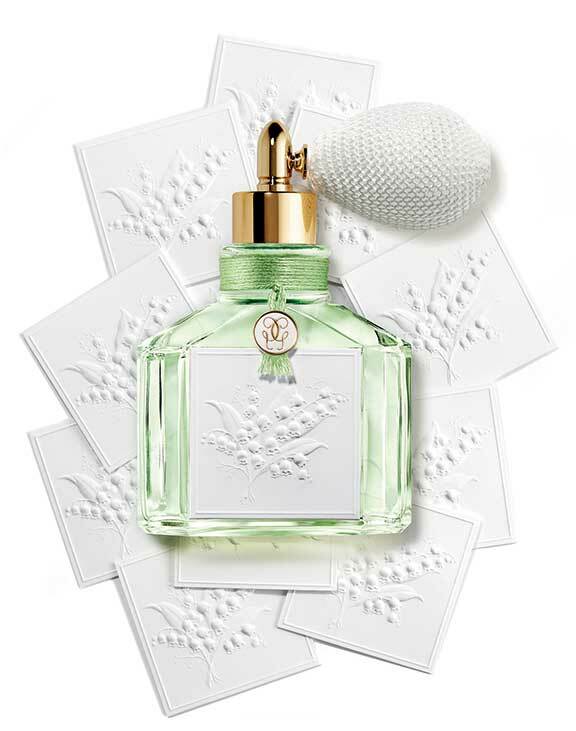 Guerlain Muguet 2013 is a limited edition of only 1,349 numbered pieces worldwide. « Kiss body acne goodbye – in 5 easy steps!